ChristmasDayYoga - Go Fit Girl! | Go Fit Girl! 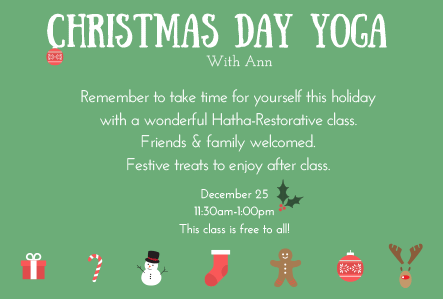 Christmas Day yoga with Ann at Turtles Yoga & Wellness from 11:30 a.m. to 1 p.m. Sign up for class here.